Despite the fact that Marco Reus and İlkay Gündoğan were injured and not part of the World Cup, the team stayed firm. 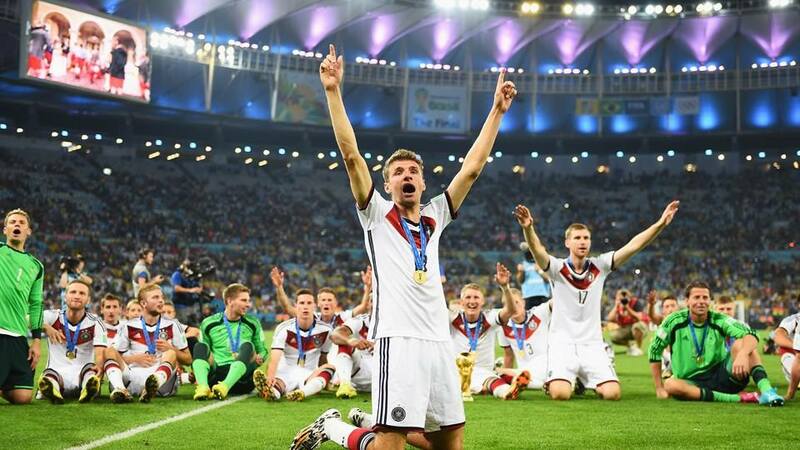 With the blend of experience and talent headed by their finest manager Joachim Löw, this Germany team of 2014 was one of most complete team ever won the title. Such technicalities were missing in Argentina’s side which was a huge morale slipper. In whatever shape the team was, they were consistent in relying the glory on Leo Messi. Despite quality names on forward, the chemistry didn’t work. Manager Alessandro Sabella failed to bring a huge outcome from one of most talented sides of the tournament. The deadly duo of Messi/Aguero became ‘so.called’ deadly duo. Injuries of Aguero and Di Maria came at wrong time. Sabella regularly disturbed the formation strategy before and during the World Cup which proved his failure. When the coach has a plan, he stick to it and if his team is blessed with bunch of big attackers then he tries to make the formation attacking. Then we expect a strong counter attack. With names of strike-force I am repeating above, you expect ‘shoot to kill’. But the beginning of Sabella’s managerial tactics in the World Cup were embarrassingly disaster. Against the first-timers Bosnia, Sabella presented the most awaiting Argentina under the formation 5-3-2. Result! the whole pressure came on themselves, Bosnia performed impressively in first 45 minutes as the Argentine went way defensive. Sabella’s 5-3-2 plan brutally failed. It is widely rumored that Messi showed his disappointment to the coach and forced him to change the formation to the most ideal one. At the beginning of next half, 5-3-2 turned into 4-3-3 and Argentina hardly won by 2-1. Sabella still kept changing his mind to sometimes 4-3-3 and sometimes 4-4-2. There was no spark in the team, they and their game looked soulless. Most of the time, they bored the spectators and viewers by performing incomplete passes and missing easy chances. Their legs were quite slow in running they never used to be. 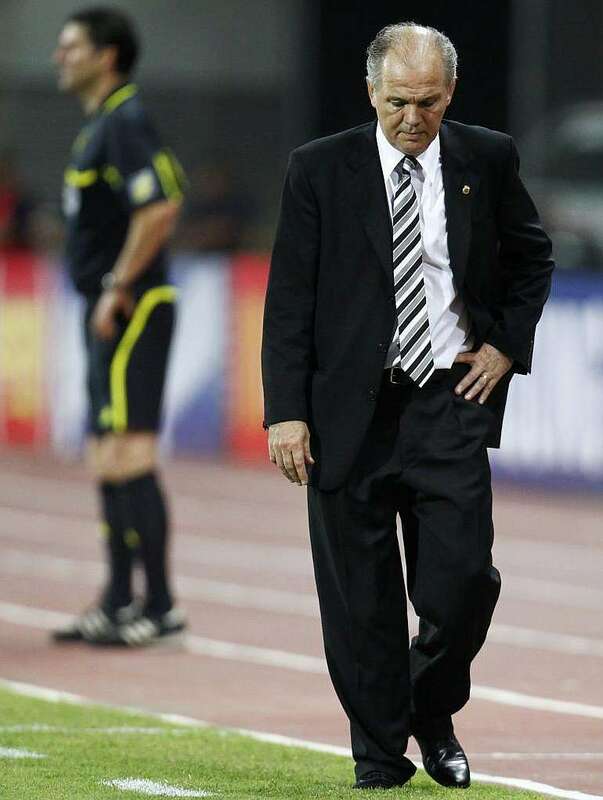 Sabella remained defensive till the end. The FINAL between the two great footballing sides was highly anticipated clash. Keeping in mind the rivalry they developed in recent decades, both teams were hunting for their 3rd ‘FIFA WORLD CUP TROPHY’. Since the golden trophy was introduced replacing Jules Rimet Trophy, both teams along with Italy and Brazil had won this trophy twice. Germany was hunting for their first World Cup win ever since reunification from the name ‘West Germany’ in 1990 and fourth overall. Both teams had defeated each other in the FINAL to win their last ever World Cup. The other major factor was that no European team had ever won the title on American soil in 84 years. With the first whistle blown in the FINAL, Argentina stayed defensive as the Germans kept impressing of their formidable strength. They remained physical as Argentine defense also didn’t shatter. 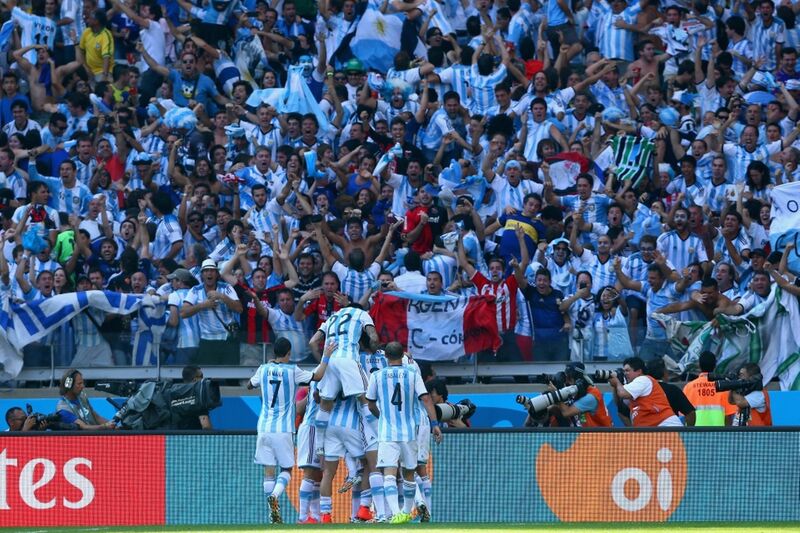 Despite powerful display, Argentina were granted ‘luck’. An opportunity badly missed when Higuain threw the ball way far then the crossbar. The defender headed to Higuain by mistake and was only the keeper Neuer to beat but couldn’t hold the pressure. The next time Higuain netted, the referee disallowed due to offside. Higuain met the same offside fate back in 2010, when his 2nd half goal against the very same side was disallowed due to same reason. Oh boy! things getting tight and then Messi missed a great chance after dribbling few players. At full-time, it was a goalless draw. Argentina’s defense was the backbone as the game went extra-time. Palacio repeated the semifinal blunder with an easy chance near the keeper and missed. Then I realized the team has its final say. Had those chances met by the opponents, they would never waste, never ever! Only the strikers were to blame for those chances as the super-sub Mario Götze went on to score a magnificent goal. This is where you may go more deep to understand the strength of German team that if Plan A do not work, then focus on Plan B. Joachim Löw had remarkable names benched in Draxler, Schürrle, Gotze and Mertesacker, even the team had a brilliant goalkeeper to sub Manuel Neuer in BVB’s veteran goal-keeper Roman Weidenfeller. The consolation goal assisted and scored was done actually by substitutes Schürrle and Gotze respectively. What about Argentina’s benches? Oh I forgot, Sabella’s Plan A and B both are Leo Messi. The title went from our hands, and Messi & company went dejected. The biggest Argentine crowd ever invaded Copacabana beach and Brazilian streets and stadiums, went stunned. Messi did create chances in FINAL but didn’t come up to the expectations. It was indeed a very painful sight to lose the final. 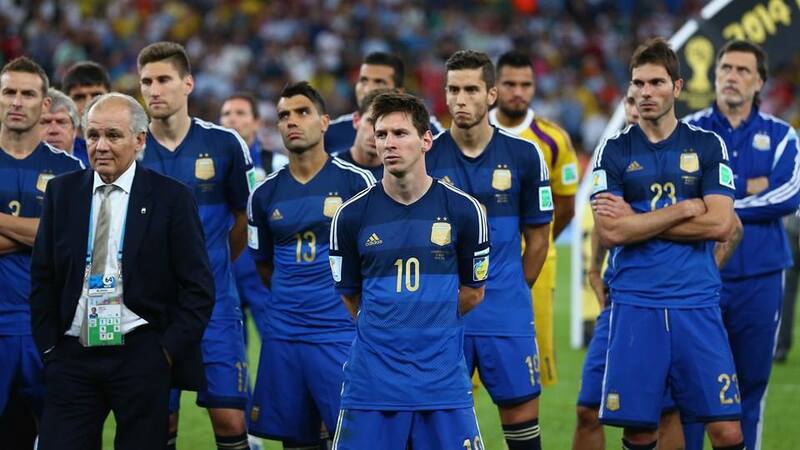 It surely was Argentina’s greatest opportunity ever in 28 years to take the title but alas! Messi could have become ultimately the greatest footballer ever to take the title but now for at least four years, he will remain under the shadow of Maradona. Leo Messi winning Golden Ball award!!! For receiving the award, he looked very devastated for surely that was never the award he had burning desires to win. Millions have shared their views and opinions about his winning the Golden Ball which means the award for the best player of the tournament. Last 5 World Cups have witnessed the Golden Ball handed to the loser. Romario was the last recipient of Golden Ball who won the World Cup. Before Messi, his fellow Argentines winning the Golden Ball were the World Cup winners Mario Kempes and Diego Maradona. Had Messi won the title, could have been the perfect hat trick but now it looks a bit odd to see Messi in level with them without holding a World Cup. 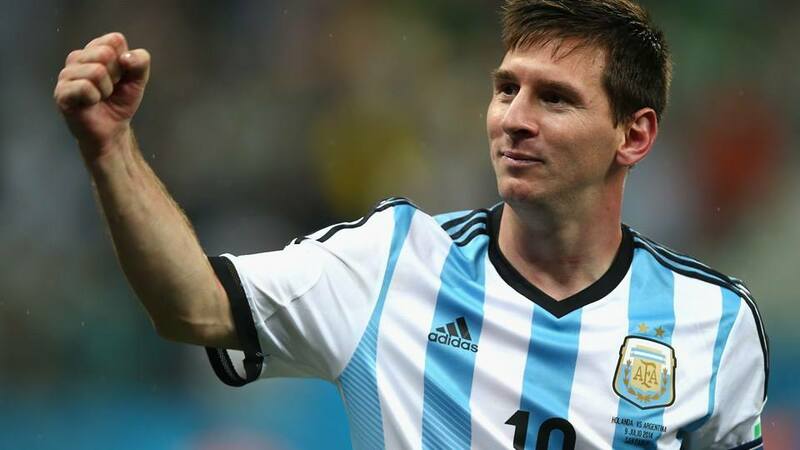 Argentina is now the footballing nation with most Golden Ball winners but who cares. Being world champion signifies more than individual awards which Messi has many. 1) Plus point – INSPIRATION: Being captain and the main weapon, Leo Messi single-handedly made his team reach to at least the Semifinals. Won all three games by himself in group stage. Assisted Di Maria in R16 and created chance for Higuain in Quarters against Belgium. Semifinal was a sorry note but he created few more chances in FINAL. 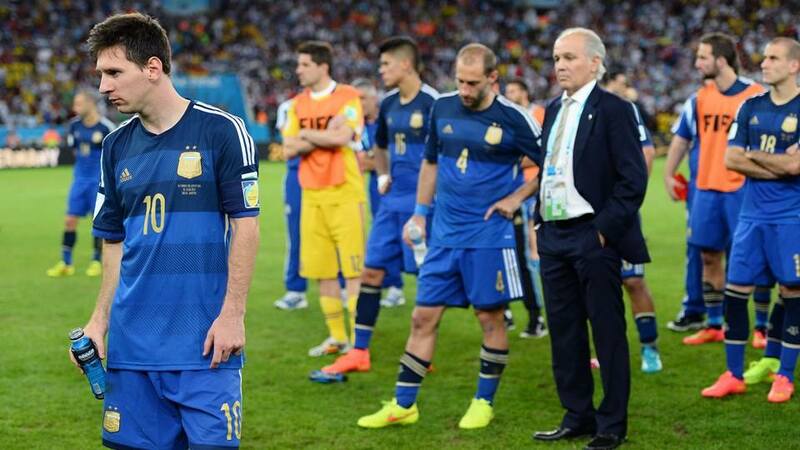 Messi was the biggest reason this soul-lost team reached the Final. Had he not been playing, Argentina would be placed not even third in the group stage. 2) Minus point – AURA of SHOW: This is not the same Messi we used to watch him play in those golden years between 2008-2012. He lacked that body language and the biggest reason is his injuries which lowed him since record-breaking 2012. For winning ‘BEST PLAYER’ of the tournament, you are compared to the other master performers of the tournament where he surely don’t rank on the top at least. So was he deserving or not??? My answer is NO. James Rodríguez, Thomas Müller or Arjen Robben would have been deserving winner. In latest FIFA World Rankings, Argentina is placed 2nd in world ranking with Germany leading the rankings for the first time in nearly 20 years. Argentina’s new ranking is motivational but not realistic. So now what should be done?? How can Argentina come back to its prime what supporters have known for decades?? What steps should AFA (Argentina Football Association) take now?? First of all, terminate contract of head-coach Alessandro Sabella (if he don’t resign). He is massively responsible in destroying Argentina football. It is not like if Argentina do not have great managers. The last time Argentina ever had rendered a valuable service of a genuine head-coach, it was José Pékerman. 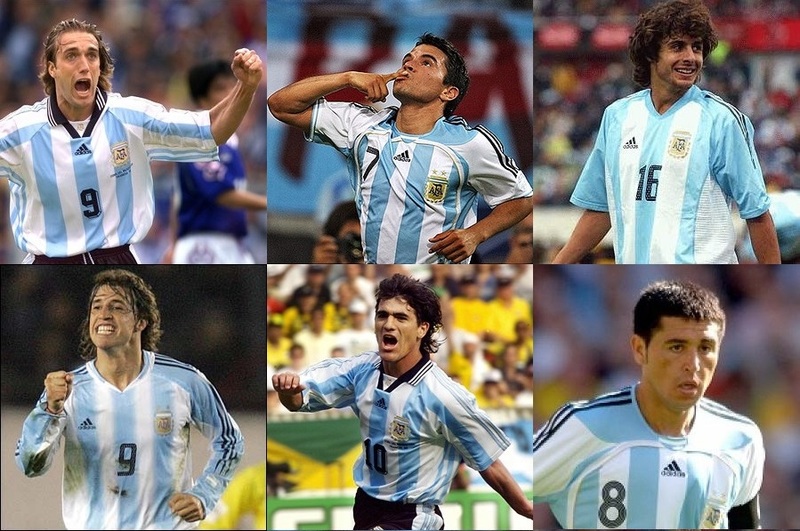 Under him, Argentina was the most talented line up the last time ever back in 2006 edition. He recently enjoyed tremendous success with Colombia as the team reached the Quarterfinal for the first time in World Cup despite the absence of their key player Radamel Falcao but the presence of amazing young talent James Rodríguez. Other options!! We have Jorge Sampaoli, the head-coach of Chile. Chile has become more attacking and physical under him as compared to the last World Cup campaign. Another impression is their powerful defense which was clearly seen in games against Spain and Brazil. The other big name is in fact the mighty one, Diego Simeone. I know the Atletico Madrid manager has no intention to leave the Spanish club right now but still he is the hottest name to be considered for coaching Argentina in future. Recently, he stated that he might coach the team in future but he feels he is not in position to take this job now and should be the most experienced one like Luis Aragonés or Vincent del Bosque. There should be no argument and there is no doubt that Argentina has a lot of talent and enjoys rich culture of football. They have won the most U-20 World Cups than any other teams (6). In fact they won 5 of those titles since 1995. It is all about grooming the youngsters under correct and genuine hands. May AFA take some steps in these four years to develop a strong team under a strong manager for the next tournament to be played in Russia. I am proud of my team. Despite all the mistakes, they worked very hard to achieve the goal when no one expected us to even cross the Quarterfinal. We struggled to prove the critics wrong but lost to the best side of the tournament. I am proud that we played strongly against the Germans, fought hard and when lost, we lost by only one goal. We lost with pride and dignity. Many emotional fans were taunting that after humiliating Brazil at their own backyard, Germans will kill Argentine but that never happened. 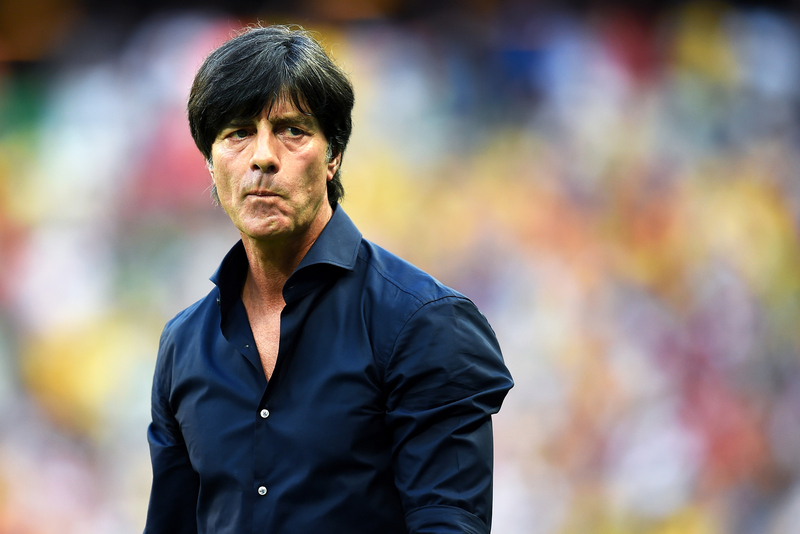 I congratulate Joachim Löw for taking what you deserve. Your team won the title and undoubtedly you were the deserving team. Since that defeat in Mexico, you have come hard on us and thanks for presenting a dynamic team. Commiserations for my Argentina! when you lose on ground with pride, my love grows more for you. Being runner-up, I hope to see the team progress more in coming years. yo soy argentino, es un sentimiento, no puedo parar! I am Argentina, it is just a feeling, that I cannot stop. Vamos Argentina!! Viva Leo Messi!! While I strive to recover back to normality from one of the biggest ‘hurt’ of my life from the supposed-to-be Maracanã chapter of glory, I am submitted to natural boos and foos with the proud defeat on our feet. With the most ridiculous nature of timing of repeatedly meeting your same old foe every four years, my blood is submitted to boil more and more. Till the two great nations met in Final of one of the biggest sporting events, expectations were high and even stats were favorable but we were compromised with the fact of staying a one-man team since day 1 which sportingly didn’t work in front of arguably one of the greatest teams ever to win the world title in football team. Myself, I am not an Argentina football fan nor am I Argentina football supporter but I am just just just just a mad Argentina lover. This team has been widely inspiring the football lovers since Mario Kempes‘ heroics in 1978 till Carlos Bilardo‘s side led by the Argentine footballing God, Diego Maradona. I am lucky that I did watch him play in his last two world cups in my childhood, one when he was madly crying and other time, when he was arrested. Then a long persistent break blocked the golden-fame of Argentina’s football and on that occasion rose the 2nd greatest era of their rivals when the best player of the tournament Roberto Baggio missed the penalty. I kept searching the next Maradona in Ortega, Batistuta, Crespo, Aimar, Saviola, Riquelme but couldn’t find until I saw the boy on the bench coming to sub Maxi Rodriquez in that meeting with Serbia and Montenegro in Germany. That run!!! oh that run!!! in couple of minutes he assisted Crespo and then in few more minutes, he netted too. There I realized, the most happening thing in football has finally arrived, he surely was Jesus to God with an incredible footballing talent, he was that wonder baby-face kid, Lionel Messi. Since that edition of world title, their old foe Germany has been the biggest hurdle towards the path of glory settled for Argentina. 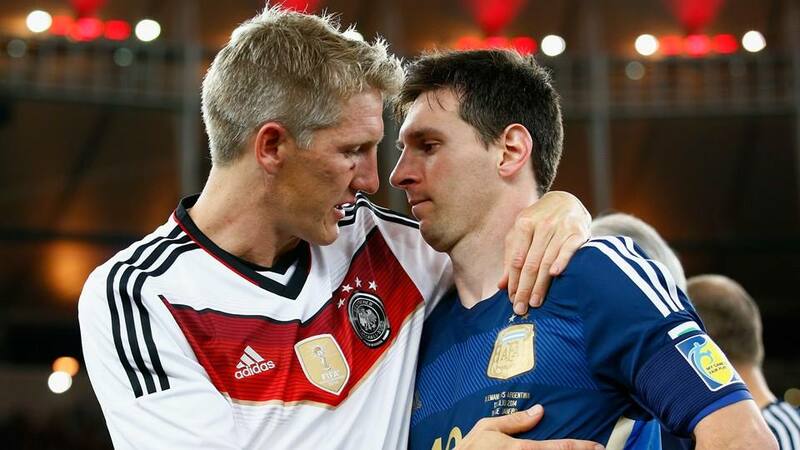 In last three successive World Cup editions, Argentina met Germany at some stage, tasted the defeat and lost the title. They are no more a foe but strangely have become angel of death, and that fact has become embarrassing now. If I count that Rome defeat, then the cradle of curse chop Argentine shoulders even more with the darkest fact that Argentina in total have been knocked out four times by Germany in last four meetings on world’s biggest footballing stage. What a Curse!!! That 1990 Final was a dirty referee game heavily aided the title to the wrong and undeserving team. The match was one of the most controversial ill-tempered final ever played in WC history. Selection of referee Edgardo Codesal was pathetic. 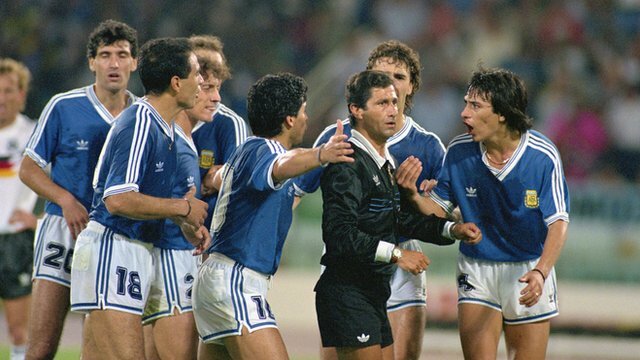 He booked two red cards to Argentine players, denied one clear penalty when Matthaus tackled Calderon and last of all, gifted controversial penalty to Germany. Maradona cried like a baby, that could have been his back to back triumph in World Cups but was robbed of dirty decisions against his team. Sometimes I sense some stinky revenge in Beckenbauer’s mind for that loss to Maradona-inspired Argentina back in ’86 final. That ’86 loss to Argentina was also Germany’s first ever loss to an American side in World Cup. 2006 meeting saw a well balanced contest but again referee messed Argentina’s chances. Everyone watched what the-then German goalkeeper Jens Lehmann was doing in penalty shootouts. He was reading that small piece of paper-note reminding him where was he suppose to dive on whose kick. Argentine footballers begged for mercy and protested to referee but referee heavily ignored. We all witnessed the aftermath, Argentina’s frustration resulted into fighting and kicking the opponents after the shootouts. What a sad scene that was!! I am glad Sergio Romero did the Lehmann in semifinal penalty shootout and wasn’t blasted by football viewers. If Lehmann can do, then Romero can. 2010 meeting was a joke. This time even a more stronger German side took Maradona’s plastic team which looked strong only on paper. Germany humiliated Argentina by 4-0 with the biggest weakness brutally and bizarrely exposed, defense. The biggest inspiration Maradona was in fact the biggest depression in managerial tactics and was widely criticized. I am yet to understand what was Jonás Gutiérrez doing in that 2010 side. Absence of our main weapon, Juan Riquelme, was badly missed. Internal footballing politics has damaged our football strength. If Riquelme rejected playing under Maradona in 2010, present coach Alessandro Sabella promised with himself to never ever select Carlos Tevez for God knows what reason. On the record, Tevez has never been considered since Sabella joined the team as head coach. Despite wonderful season with Juventus, Tevez was not even picked in preliminary WC squad. And we paid the price! Argentina’s dangerous looking strike force was once again on paper, lacked meat with no chemistry of counter attacking. As expected, the pirates relied on the captain of the ship. It was a strange moment for me to realize that a never-expected weak-looking defense was actually my team’s backbone instead of hugely-expected strong-looking strike force. Marcos Rojo shined at his box, Demichellis proved worthy as veteran, Zabaleta kept his Manchester City form with him and Garay was above-average. Di Maria and Mascherano heavily took their duty specially the latter was inspirational and motivational. His semifinal performance was one of the best midfield show in world cup. In strike-force, Aguero-Palacio-Higuain-Lavezzi were very disappointing. Higuain at least netted once but the rest just surprised me. There was seriously no threat among the strikers. Ladder to success and path to glory fell upon the lone warrior, their captain Leo Messi. A huge pressure mounted upon him as not only the team but the whole nation and millions of his supporters were expecting him to win the World title and stand among the ranks of Pele, Maradona, Beckenbauer, Zidane and Ronaldo. There are two aspects of losing the title; either Messi didn’t inspire in last two games or his teammates could just not took his vision into their strength. His team scored only 8 goals throughout the tournament; half by himself, each by Rojo-Higuain-Di Maria and one was an own goal. 6 of the 8 goals were netted in the group stage, the rest? one reached the net in dying minutes before penalty shoot-outs while the other was netted by chance due to opponent’s deflection. The team remained goalless in last two most important games. Argentina struggled in every single game, none of the games played was convincingly or one-sidedly won. The team was blessed by unarguably the easiest group with less than average teams. Despite the fact, Argentina was so weak that debutant Bosnia and Iran performed extraordinarily against them. In fact the African fancy team Nigeria shocked in last group stage game when they scored equalizer over Argentina twice. More to a misery, they made Nigerian forward Ahmed Musa the first Nigerian footballer to score a brace in a World Cup game. Supposed-to-be easy game in Round of 16 turned out to be last call to train. Shaqiri inspired Switzerland kept them goalless until the dying minutes when Messi assisted Di Maria. Belgium game in quarters tested Argentina’s strength and Higuain hit the deflected ball behind Courtois. Semifinal proved the real clash where Mascherano and the army of defenders controlled the game while Dutch defender Ron Vlaar magnificently controlled Messi upto the level that Messi on the record couldn’t touch the ball inside Dutch box for the whole 120 minutes!!! Kind of rare achievement by Louis van Gaal‘s team. One major plus which made the team progressed to the final was goalkeeper Sergio Romero. Romero, who is not even first-choice goalkeeper of Monaco FC, gave the performance of his life and from the second Nigerian equalizing goal, he didn’t concede the next goal by approximately 490 minutes. After superb Mascherano show in 120 minutes of semifinal, it was Romero who saved the penalties twice in penalty shoot-out marching the team towards the final. 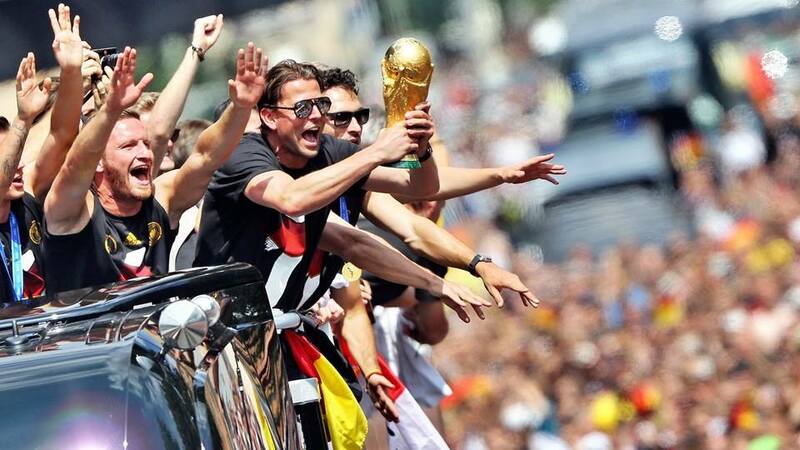 The team still fancied their chances of lifting the trophy against the mighty Germans. Joachim Löw has successfully shaped Germany into one unit with a remarkable winning combination. Löw was assistant of head-coach Jürgen Klinsmann for couple of years until 2006 WC edition. In those days, Klinsmann’s side had improved a lot as compared to the side managed by Rudi Völler. Being historically the most consistent side in the World Cup, Germany became ruthless and more physical under Low as compared to Klinsmann. One major reason of Löw’s managerial success should be credited to the recent managers of their professional association football league Bundesliga. Two of the most heavy-weight league teams, Bayern München and BVB Dortmund have enjoyed the services of brilliant coaching under Ottmar Hitzfeld, Jürgen Klopp, Louis van Gaal, Jupp Heynckes and now Pep Guardiola. These last 5-7 years noticed one of best findings uprooted in local league, who played under-21 and joined the senior ranks at some stage. German football system polished one of finest products. It is now on the record that six of the eleven German boys, who were part of 2009 UEFA Under-21 Championship FINAL win against England, played the Final of recent World Cup. Names were Manuel Neuer, Sami Khedira, Mesut Ozil, Benedikt Höwedes, Jérôme Boateng and Mats Hummels. 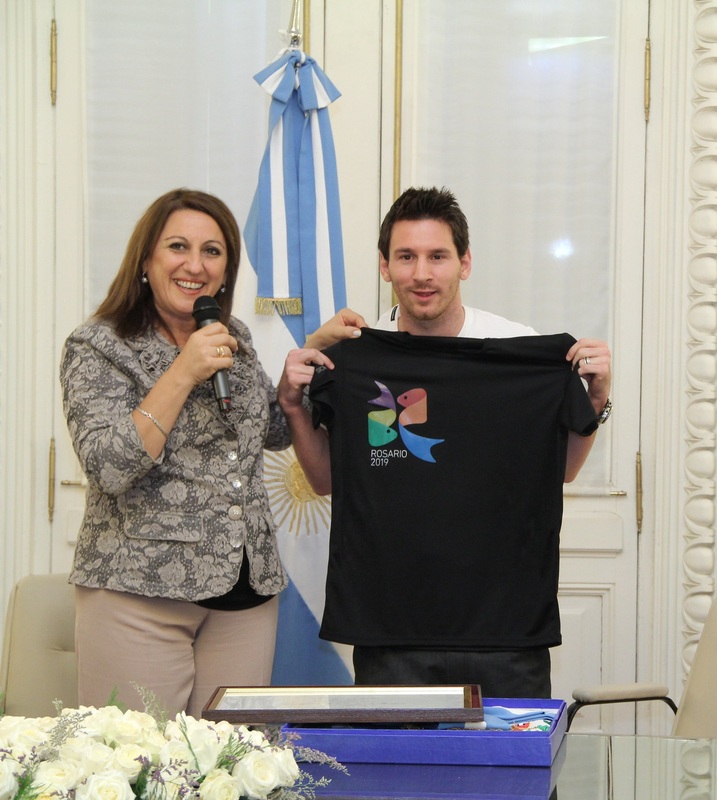 During the genocides happening in Palestine and Syria, during the cruelty and offences done by Netanyahu’s regime, during the late stages of the football world cup and during the holy month of Ramadan; Argentina football team captain Leo Messi is shown worshiping in Israel and many Argentina and Leo Messi haters are calling him Jew and pro-Israel. 1) Barcelona team visited Israel in 2013. Why it took a year at this moment to remind that Leo Messi was worshiping in Israel??? 2) Most of Barcelona supporters surely know that back in May 2013, FCB announced to visit at football clinics for children in both Israel and Palestine. The initiative was called ‘FC Barcelona Peace Tour’. So why is only the Israeli side shown in the propaganda? Why is this official link completely ignored?? 3) The propaganda shows Leo Messi because unarguably he is the strongest market and shall I say Jesus to Argentina football team. If nowadays football lovers are mostly following Argentina, the sole reason is Leo Messi. 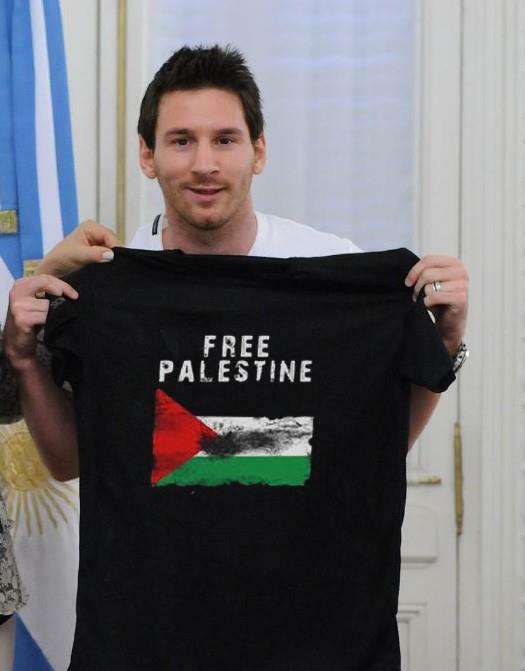 With the worst happenings in Palestine and Syria, Messi is the target to create hatred among the football fans. One should know that another Argentine, Javier Mascherano play for Argentina and did participated in Middle Peace Tour. So why not he is the target? For obvious reasons that the conspiracy won’t work. Couple of months ago, Ooredoo launched its first-ever global communication campaign with Leo Messi as its brand ambassador as the company reached out to football fans and social media enthusiasts across its footprint in Asia, the Middle East and North Africa. That ad of Ooredoo we are watching daily on Bein Sports featuring Messi. 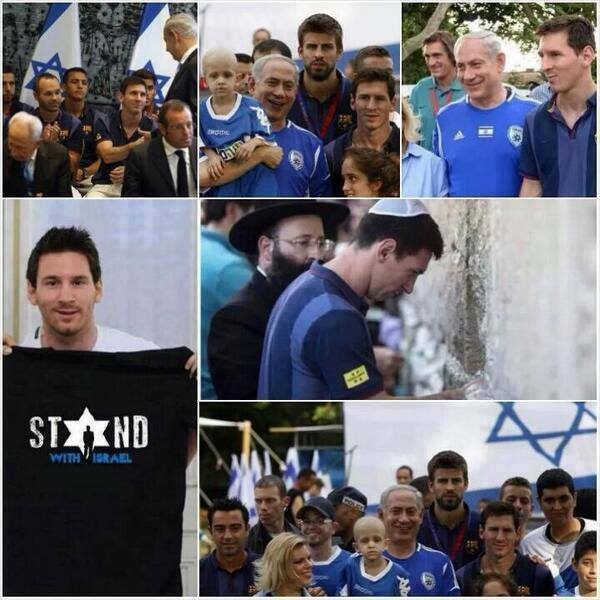 5) Why in the pictures Messi is shown holding a t-shirt written ‘Stand with Israel’??? Did someone even bothered to google the truth??? 6) Messi shaking Netanyahu’s hand??? Why not bother to google if Barcelona and Leo Messi ever met Palestinian PM Mahmoud Abbas???? 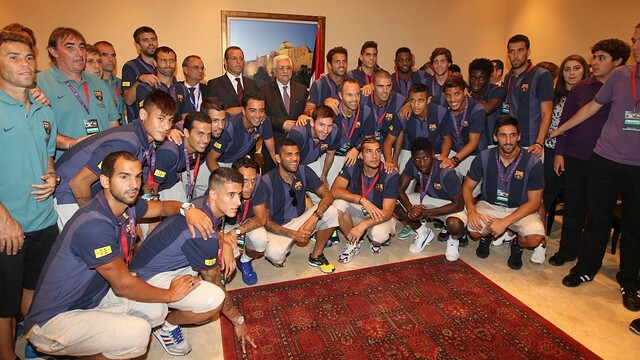 7) Barcelona visited Palestine on Aug.3 2013 and then to Israel. FCB official website even presented a video, also in Youtube. What I believe is that this is all German propaganda!!! I am not blaming all Germans but only those specific Germans, who are pulling his pants down and spreading ignorance among Argentina lovers and the football loving Muslims…. Now readers will ask me how come I blame Germans for that propaganda?? So who else than?? Are our senses really begin to stop working??? Don’t we really know in 21st century that in which country were 5-7 Million Jews killed????? The biggest disappointment is that most of the readers get convince with what they read, what they see and what they hear instead of researching on their own. I am a lifetime-supporter of Argentina football and Leo Messi, it is very important to inform the readers what is correct and what is wrong. Being a Muslim, I do am really hurt of the genocide happening in Palestine and Syria but that doesn’t mean to bring a false conspiracy/propaganda to deceive the people. Iftaar time, May Allah keep all of you safe and in peace.